Forty-one schools and colleges in the area have signed up for the programme initiated by the Careers and Enterprise Company to prepare and inspire young people for their move into the fast-changing world of work. Kingsbury School and Shipston High School in Warwickshire as well as Whitley Academy and Hereward College in Coventry are among those already taking part in the scheme. Enterprise Co-ordinators Dave Lennox and Lizzie Mara lead the network in Coventry and Warwickshire which is co-funded by The Careers and Enterprise Company, the Coventry and Warwickshire Local Enterprise Partnership (CWLEP), the Coventry and Warwickshire Chamber of Commerce and the CWLEP Growth Hub. Dave and Lizzie support senior business volunteers, called Enterprise Advisers, and match them with a school or college to work with Head Teachers or the senior leadership team to develop effective careers advice and create opportunities such as work placements by using their contacts in the area. Dave said the scheme is going well but additional volunteer Enterprise Advisers are now needed in Coventry, Nuneaton and Rugby. He said: “We are looking to attract Enterprise Advisers who can use their business experience and professional networks to help to develop and implement an effective careers strategy that puts opportunities with local employers at the heart of young peoples’ education. “This is a really rewarding initiative and all we ask is that volunteers are prepared to give up four hours of their time each month. “We have recruited a range of volunteers from managing directors and chief executives to managers and consultants and the response has been really encouraging but volunteers are particularly needed for schools and colleges in Coventry, Nuneaton and Rugby. “It doesn’t matter how large or small the business is that you work for as long as you have enthusiasm, good business networks and are able to provide strategic planning advice. Dave said that the aim was to have secured Enterprise Advisers for all 78 schools and colleges in Coventry and Warwickshire by 2020. 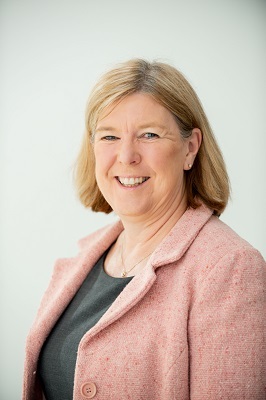 Marion Plant, who is a board director at the CWLEP and leads its Productivity & Skills Business Group, said it was vital to provide students with relevant and up-to-date careers advice. She said: “The Enterprise Advisers are creating fantastic partnerships with schools and colleges to implement the best practice standard for careers support and motivate young people to research their best career options.